OPI has a new four piece collection for early summer called Nice Stems! themed for pretty pink hues we see in flower blooms. There are three opaque polishes and one multi-colored top coat that can be layered on top of the others to create fun new looks or worn by itself for a sheer look with glints of glitter. 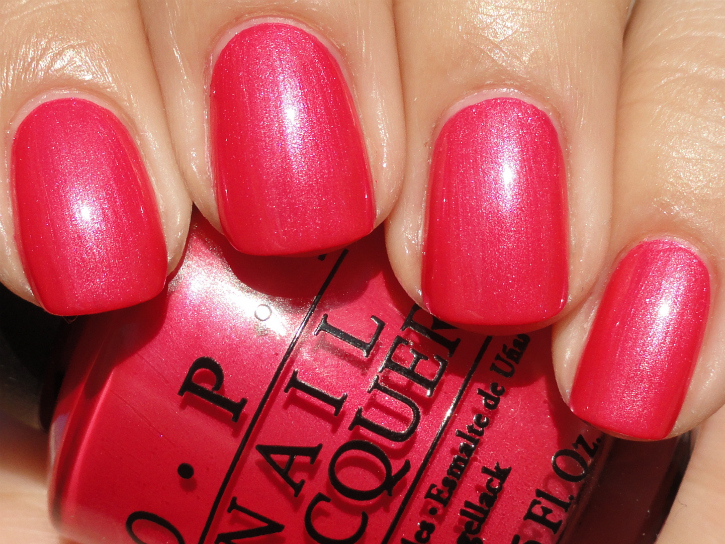 I love the OPI pro-wide brush and pink, so this collection already has some great pluses in my opinion! 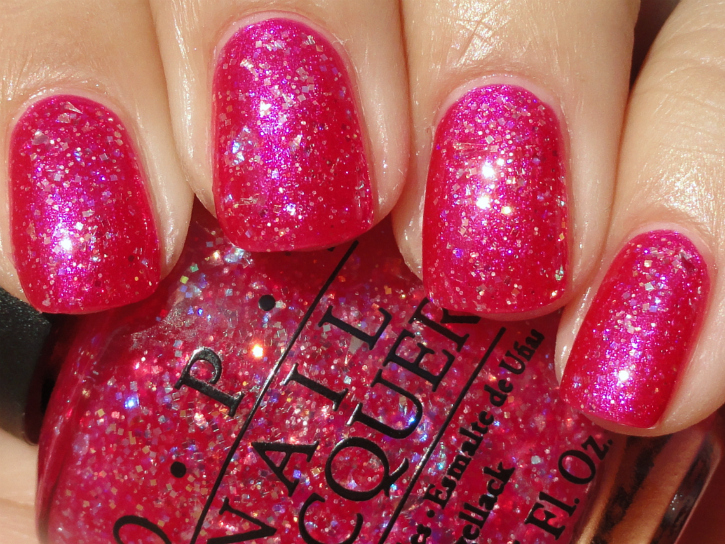 Next is Come to Poppy, a coral tinged dark pink with a pearly shine. I really fell head over heels with this one, it just melted on my tips, like it was made for me! Perfect in two coats. And poppies are my number one favorite flower, yay! Be a Dahlia Won’t You? is the next full color lacquer in this collection, a shimmering foil fuchsia pink with a slight duochrome at the edges might pull a bit blue at times--definitely hard to capture on camera. This had a thinner formula and pigment than the other creamier polishes so I used three coats, 'twas to be expected with a shimmer/foil really. And here is two thin coats of I Lily Love You over Be a Dahlia Won't You? I love how it looks just like the bottle shade! This collection is über girly and très feminine. A sure hit with the ladies I know!